I was recently in Northern Uganda (Odek) where I spent some time with the victims of Nodding Disease, and their parents / guardians or only surviving family members. It was a period, and experience in my life I will always hold close to my heart, and could never forget. The faces of these children still haunt me to this day. I hope through my work with children around the world sick or not, that I have been able to make them smile, cheer them up, make them giggle and laugh through their suffering… But this was a different story altogether. The suffering, the pain, the anguish and isolation of these poor, sick and neglected people, is a sad story that has its roots buried far beyond the first outbreak of Nodding Disease. The sad truth is that the government of Uganda does not really care about the poor young Acholi children in the North who are suffering, then dying of this shocking Nodding disease. When I was in Uganda a couple of months ago, there was so much local media showing President Museveni out in health clinics and setting up facilities for nodding disease victims and so forth. That was while I was in the same country. Actually! During my time in Northern Uganda; the President just flew in for many media opportunities. Speaking about these issues, I would say I have spent more time in Northern Uganda than the President himself. I would have spent more time on Acholi soil, speaking Acholi (a little, but a little more than President Museveni), working with them; learning; sharing; caring; teaching; drinking; eating; laughing; living; crying with them… and establishing life-long friends with them! Oh, my heart goes out to my dear Acholi friends from the North! So all this news about the children being looked after and in hospital is a total lie. Because I have witnessed firsthand the suffering and the devastation of these young and older families who have children with the disease, I spent time with them, I listened to their stories and I saw with my own eyes what was going on. It is a total travesty by the Government of Uganda. 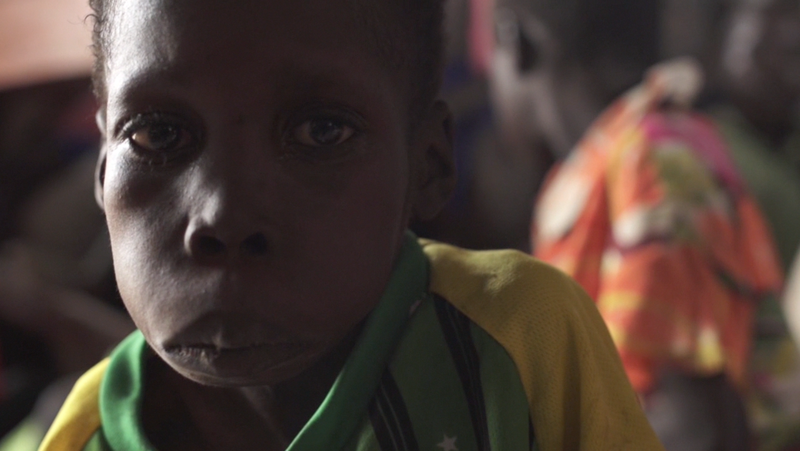 There may be some health clinics set up for a few certain children, but in Odek, Josph Kony’s hometown, situated between Gulu and Pader (closer to Pader), hashundreds and hundreds of children with Nodding Disease, WITHOUT ANY AID AT ALL. There have been a lot of funds that were supposed to be allocated to Nodding Disease, but they didn’t make it, if some did, it would surely be under 10% of what was allocated. I did not witness one clinic for the disease in all of Uganda, (Northern Uganda) yet I witnessed, on what was the most horrific and heartbreaking period of my 2 month trip there, so many young girls and boys, either tied to trees by their parent (usually only one guardian exists) to prevent them from hurting themselves as Nodding Disease victims often lose control of their behaviour and run towards fire and water, resulting in devastating and too often deadly consequences. I also interviewed the guardians, parents or remaining relatives of the young Nodding Disease victims. The interviews offered interesting perspectives not so often discussed or dissected in corporate or commercial media. Insights given often pointed to the World Food Programme‘s (WFP) food and the possibility that it was contaminated, either by accident or as some would argue, was a deliberate move by the Ugandan Government. It seems almost clear that the children who are affected by Nodding Disease, who are generally between the ages of 6 and 15 years, were infected during the time of the massive forced encampment of the Acholi into overcrowded, unprotected, disease ridden and violence prone Internally Displacement Camps (IDP camps), a.k.a ‘death camps’ or ‘modern day concentration camps’. It was around this period when all food was supplied to the encamped Acholi by the World Food Programme, and the disease started to become apparent. (2003 I believe). I will post a few more images here of other children I met with Nodding Disease, that were not treated at all, despite the severity of their conditions. Many have since died but these figures are not shown in official statistics, in fact, Odek was rarely mentioned in the media as an area that had suffered greatly from it. 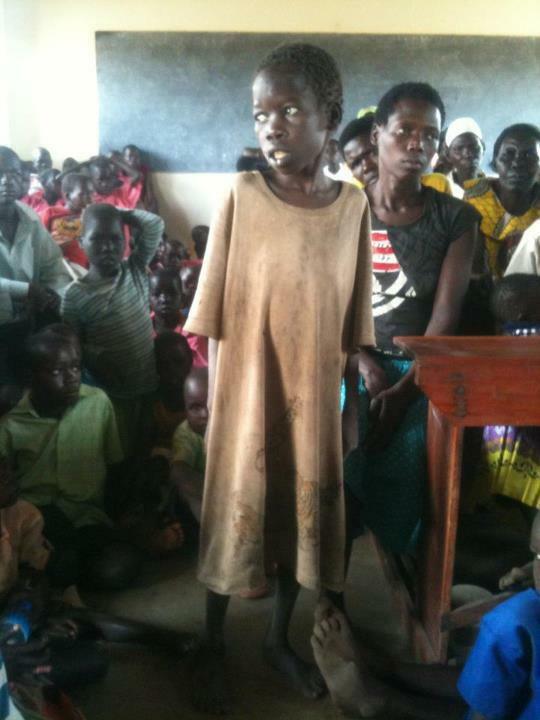 It’s a very sad story and one that demands greater attention from Uganda, and also, the rest of the world. The boy I am pictured with below had the early symptoms of the mysterious & often fatal Nodding Disease.Let’s pray that his situation has not worsened and that he is receiving at least some medical care. *If you haven’t yet heard of ‘Nodding Disease’, that means it needs serious attention from the international community, so scream and shout, tell people, and do your bit! Help spread the message that Nodding Disease victims (who are all children) need our help, now! I am deeply motivated to continue with the struggle to get this stories out and do all i can with what i have to get the voices of these children heard. keep up the good work. 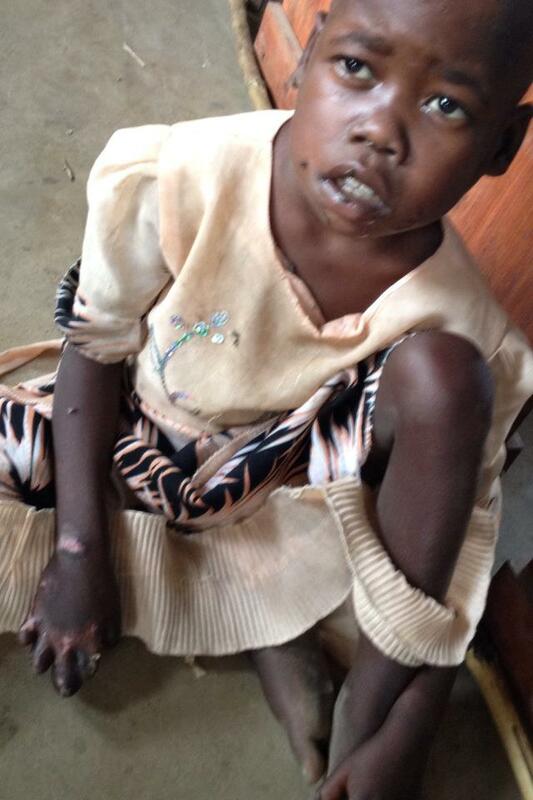 Please see the latest Child Troopers blog entry about Nodding Disease in Northern Uganda. We’d love your comments and for the truly concerned individuals of this world to help in sharing & raising much needed international attention to this tragic disease. On behalf of the children, we thank you!